Successful launch of three Compass (Beidou-2) satellites so far this year and reports of another two planned later in 2010 have elevated awareness of China’s accelerating GNSS program. Added to the two spacecraft placed in orbit in 2007 and 2009, that would bring the modernized Beidou constellation up to seven — halfway to the 13 or 14 satellites planned for the regional system scheduled to be available by 2012. So, conditions seem right for the release of a draft interface control document (ICD) for Compass. In the past year, we have reported statements by Chinese officials that such a document exists in both Chinese- and English-language versions, awaiting only a propitious moment for its publication. That moment may have arrived. Indeed, the officials who described the ICD predicted that its release would occur within a year. Such an action would be good both for both the Compass program and the community of GNSS receiver designers and end users who are looking for the additional signal resources that the Chinese system can bring. As with the announcement of ICDs by other systems — including the Galileo Open Signal-in-Space and the GLONASS CDMA specifications — political, commercial, and technical considerations have to be weighed by the responsible authorities. And those, of course, can only be fully known and understood by the individuals and agencies that must make the decision to publish the documents. Many of those officials — including Chengqi Ran, deputy director of the China Satellite Navigation Engineering Center — will take part in the NaviForum Shanghai conference and exhibition September 1 and 2, the most important international GNSS forum that takes place in China. This year, Compass/Beidou headlines the program. As has occurred in relations among other GNSS providers, including Europe, Russia, and Japan, such cooperation benefits all parties to the collective GNSS endeavor. The NaviForum program also will underline the practical benefits of GNSS-supported applications, with high-level representatives from Chinese national agencies and associations, as well as its commercial automotive, communications, and mapping industries. It would be an auspicious venue in which to announce a schedule for releasing a Compass ICD, however provisional that might be. I was invited to convene and moderate a panel discussion at this year’s NaviForum on “The Driving Forces for GNSS Development in North America.” Panelists include Kanwar Chadha, chief marketing officer for CSR and co-founder of SiRF Technology; Cormac Conroy, vice-president of engineering, Qualcomm; Mike Shaw, director of Navigation Systems Global Business Development, Lockheed Martin Corporation; and Dominique Bonte, practice director for telematics and navigation, ABI Research. I expect the message from these panelists will be that enlightened public policies, open technical standards, and even-handed access to GNSS signal resources advance the interests — national, commercial, and public — of the whole GNSS project. 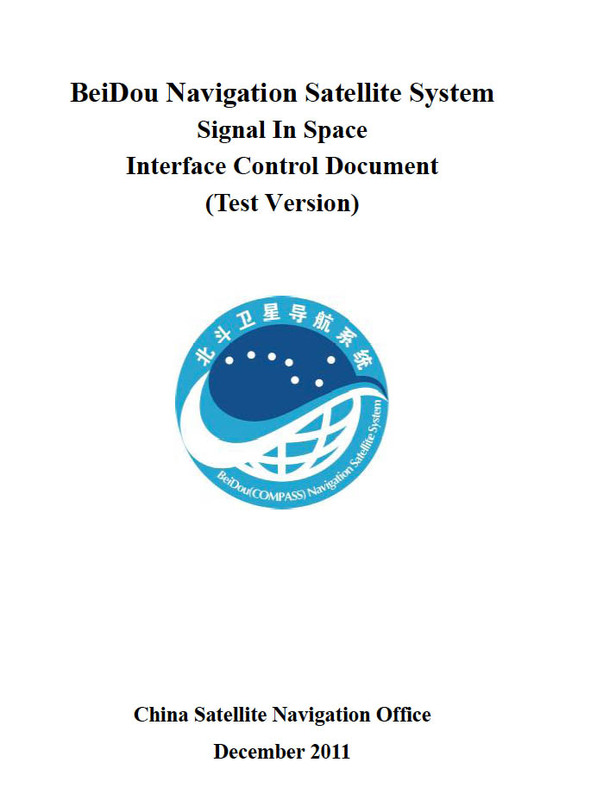 And so would publication of the Compass/Beidou ICD.